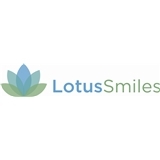 LOTUS SMILES - Dental excellence with you in mind (Jersey City) - Book Appointment Online! Welcome to our office. We promise to provide you with the utmost personal attention and professional excellence. We believe that caring for your teeth and smile is one of the most important factors in promoting good health. That is why our patients always come first. We believe that a beautiful healthy smile is more than just good looks. A beautiful healthy smile gives you a feeling of confidence and self esteem that others will notice immediately. Some of the latest technology he utilizes include CEREC Single Visit Crowns, Digital Xrays and Intraoral cameras It is our goal to help you maintain and improve your oral health and have a great smile. We provide affordable, high quality dental care for you and your family using the latest advances in dentistry. We strive to provide you with individualized care through information and education about procedures and dental health care choices to suit your specific needs. We want to make your dental experience as comfortable as possible. The minute you walk through the door, you will know you've come to the right place. Dr. Alexander Milman takes the time to provide you with the best care possible. Rather than being rushed, you know that Dr. Milman is there to serve your needs.